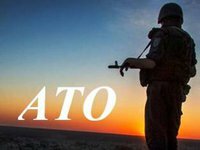 Soldiers participating in the anti-terrorist operation (ATO) in eastern Ukraine, who have not exercised their right to free land privatization, as well as the families of killed security officials as of December 11 had received 863 land plots with an area of 394.04 hectares for housing construction, farming and horticulture. These data were reported by the press service of the State Agency for Land Resources. "Only during the last week 61 soldiers, participating in the anti-terrorist operation, received land plots, while the territorial bodies of the State Land Agency made 445 decisions on issuing permits for the development of land management projects concerning the allocation of 567 land plots," reads a statement.